EXALT Jesus Christ through Worship. EQUIP believers for service through discipleship. ENCOURAGE one another through Fellowship. EVANGELIZE our world through our Witness. Key to reaching any group is a clear articulation of the vision, mission, core values, and strategy for the new start. A vision statement is simple a statement about the future that creates passion in those executing it. Our vision is to be a dynamic community of faith that engages the whole person, expresses Christ’s love with compassion, and does all to exalt God. 2) Invite them to a Bible Study or Sunday Worship. 3) Share a verbal witness. 4) Lead believers to become members through a membership class. 5) Gather groups together for a celebration event designed to meet their needs and introduce them to the community. 6) Lead them to become stewards of their gifts by participating in future services. 7) Exhort members to be part of a mid-week worship and develop ministry to fulfill their call to full devotion. 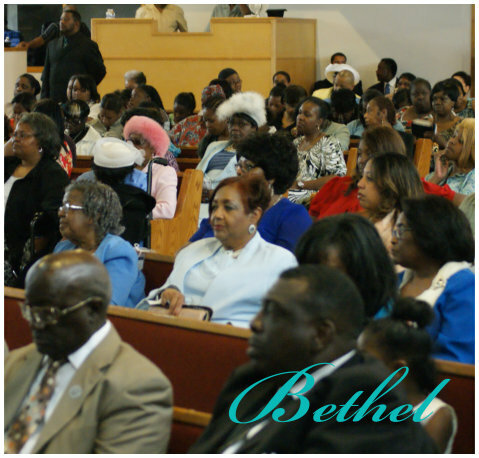 Here we grow again, to date we have in attendance 250 plus members and remain in awe of the goodness of the Creator for all that He is manifesting here at BCC. We remain steadfast and unmovable as we strive to be the Church where “God is glorified, the Church is edified and satan is horrified” We are the Five Star Church. Copyright ©2015 Bethel Community Church of Fairfield. All rights reserved.